It must contain photo of the ID holder. It must be under the applicant's name and should be the latest copy. It must be the latest copy. Pay a 1-month monthly service fee in advance via your credit card. 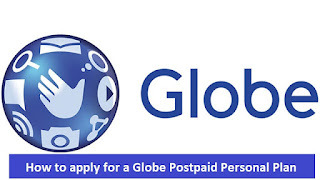 Get an existing Globe customer as a guarantor. It must be the latest copy and should not be expired. If you're an existing Globe customer or Line-Only applicant, simply send a valid ID. If you're from an OFW family, submit certificates of allotment for the last 3 months or a copy of your foreign remittance slip. They will serve as your proof of income. If you're a housewife, you may present original copies of electricity bills or rental/lease of contract. Note to Bring original copies. All applications are subject for approval. Additional requirements may be requested if deemed necessary. All listed documents are subject to change.